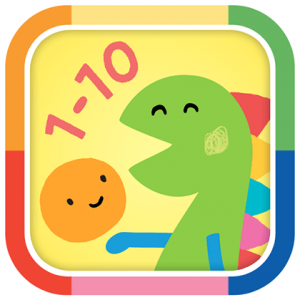 Learning to count has never been so fun! Where’s Little Dot? Is he in that flower? In the balloon? Ah, there he is! He’s in that rain drop! There’s nothing Little Dot enjoys more than playing hide and seek…and playing along with him is easy for your baby or toddler with Find Little Dot 1-10! Simply select a number and language and start playing. When you see Little Dot’s smiling face hidden in each scene, give him a tap and hear him count aloud. As you complete a level watch him magically transform into something new.